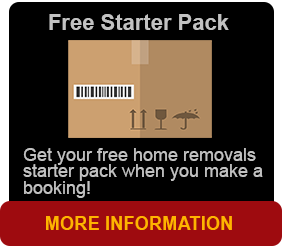 Whether you are looking for a short term or medium term storage arrangement in Brisbane, Brisbane Removals and Storage is your answer. Short term storage is designed for people that have their house sold and cannot move into their new home for say a week. A good example of medium term storage is like someone who is renovating their 2 storey home and wants to do it over a period of say 3 months. They put 1 level in storage and they then can live in the house and renovate each floor without necessary furniture getting in the road. It’s absolutely great for the owner builder or renovator. Situated at Ipswich road in Darra, we can provide storage for a week, a month or a year. We can store the smallest of items to the larger like cars, trucks and boats. We have wooden ply storage units that hold 5 cubic metres. We also have 10 cubic metre units as well. Prices are very affordable and they are dust and vermin proof. On completion of the uplifting into the storage units, they are nailed up, sealed and taken back to the depot for storage. If the contents of your home or office are a little larger, well you can up size and use a 20 foot wind and water tight shipping container. We offer some of the best rates in Brisbane when it comes to onsite and offsite shipping container storage solutions. Shipping containers are less than half the price of a standard self storage unit making them a cost effective solution for short or medium term storage requirements. Minimise your outlay of capital expenditure by storing. We move you hassle free at the end of the rental period for the price you came in on. Modified containers can be available for cars and bikes. Containers are of the highest quality. Clean and within 2 to 3 years old. All containers are wind and water tight. Our shipping containers are transportable making a great storage solution. They can be delivered to your home or office, and you can pack your belongings within your time frame. Then by phoning us, we will pick up and store it at our depot or take it to a location anywhere in Australia. Concerning specifications, a 20ft container with 33 m3 of space can store the contents of an average 3 bedroom home. Go up a size and a 40ft container at 67 m3 can be used to move or store the contents of an average 5 bedroom home. We tend to advise our to use say 2 x 20 footers as 40 foot containers are sometimes awkward and you need a side loader or Semi trailer every time you move it. There are plenty of uses for containers such as medium term motor vehicle storage. Here’s an idea – drive your car into a container at our depot in Darra to keep it safe and snug from break-ins or theft. Don’t worry about the chance of hail damage this storm season, containers are a tremendous, super low cost solution to keep your car safe and sound and also dent free. 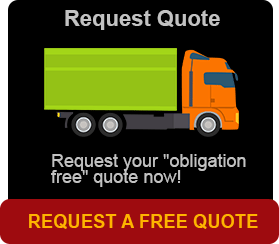 For a personalised quote, call us now to discuss your storage needs.